PINEVILLE, La., Feb. 7, 2018 /PRNewswire/ -- Today, Cleco Corporate Holdings LLC (Cleco), owner of regulated electric utility Cleco Power LLC (Cleco Power), announced that it will acquire NRG South Central Generating LLC (South Central), a subsidiary of NRG Energy, Inc., for $1.0 billion. Under the terms of the agreement, Cleco will acquire eight generating assets totaling 3,555 MW, transmission operations, and contracts to provide wholesale power to nine Louisiana cooperatives, five municipalities across Arkansas, Louisiana and Texas, and one investor-owned utility. The assets will be acquired through a new unregulated subsidiary, Cleco Energy LLC (Cleco Energy). South Central's assets and employees are currently managed by NRG, a New Jersey-based company. Upon closing, seven of the generation assets will be managed by Cleco, a Louisiana-operated company. The Cottonwood plant in Texas will be leased back to NRG, who will operate it until May 2025. "The acquisition of South Central demonstrates Cleco's commitment to being the leading energy company in Louisiana," said Bill Fontenot, CEO of Cleco Corporate Holdings LLC, Cleco Power LLC and Cleco Energy LLC. "Long-term, our strategy will be to merge the companies under one regulated entity." 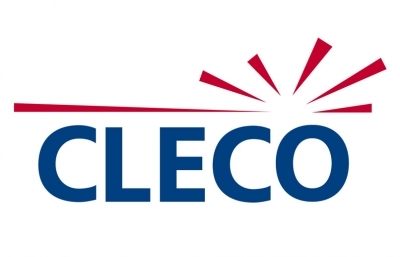 "We are pleased that this acquisition will enable Cleco to significantly increase the scale of its operations in Louisiana," said Peggy Scott, chair of Cleco's board of managers. "This will be a seamless transition for customers and employees of both South Central and Cleco." "Through this transformational acquisition, Cleco will more than double its generation capacity, while providing cost effective and reliable service across Louisiana," said Fontenot. "This significant investment highlights the commitment of Cleco and its owners to our customers, communities, employees and the state of Louisiana."